The University of Maryland Graduate School waives application fees to eligible students in participating programs. If you have participated in any of these programs, then simply follow the instructions at the bottom of the page and The Graduate School will prompt you with an email asking for verification of participation when and if needed. 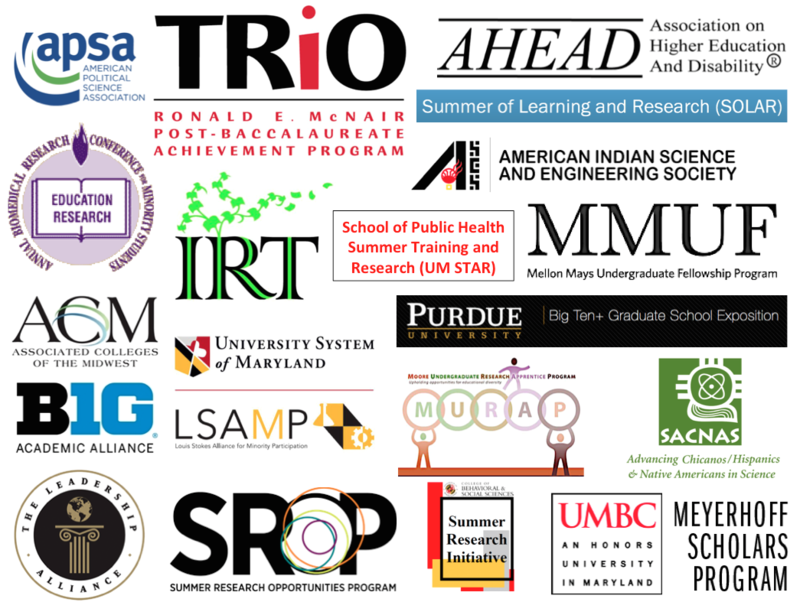 Always contact The Graduate School (gradschool@umd.edu) with questions about fee waiver eligibility or to obtain additional information about the programs listed below. Please request your application fee waiver once you have started your application. Contact The Graduate School for all application fee waiver questions and concerns. McNair Scholars should fill out the McNair Verification Form with their directors and email it to gradschool@umd.edu before submitting their application. Access the McNair Verification Form. FreeApp is designed to increase access to graduate education for students who possess qualities and experiences that enhance the diversity of the intellectual, cultural, and social environments at Big Ten Academic Alliance universities. Eligible students with financial burden that qualify for FreeApp should fill out the form in the link above and email to FreeApp@umd.edu with the subject line: FAFSA FreeApp Eligibility and provide documentation of need from your FAFSA in your email. Applicants need to start their online application, but them must not submit the application until their application fee has been waived. The Graduate School is sent a request for the waiver (choose ‘Diversity Program Application Fee Waiver’). The applicant sends proof of participation/membership in that organization/program (typically a letter from the program/organization director, documentation, verification form, etc). The Graduate School will send verification of the waiver by email. The applicant can submit the application without paying the $75 fee once an email reciept has been sent stating that the application fee has been waived. Please note: Any student that has attended IRT, ABRCMS or SACNAS, should send an email to gradschool@umd.edu with subject: [conference name] attendee fee waiver. In the event that proof of participation may be needed, the Graduate School will inform the applicant. Follow-up questions regarding application fee waivers can be sent to Office of Graduate Diversity and Inclusion (OGDI) Program Director Christopher Pérez (cperez6@umd.edu).